Hello! 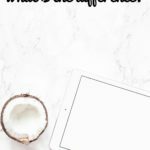 Please enjoy this amazing post by a blogger friend. Women face different obstacles than men do when it comes to investing in the stock market. Right off the bat, they tend to have less in savings because women often take time off to raise children. With years of not earning a salary, there is no money being saved and compounded upon. In addition to this, women typically outlive men by close to 10 years on average. Therefore, it is important as a woman to invest in the stock market. 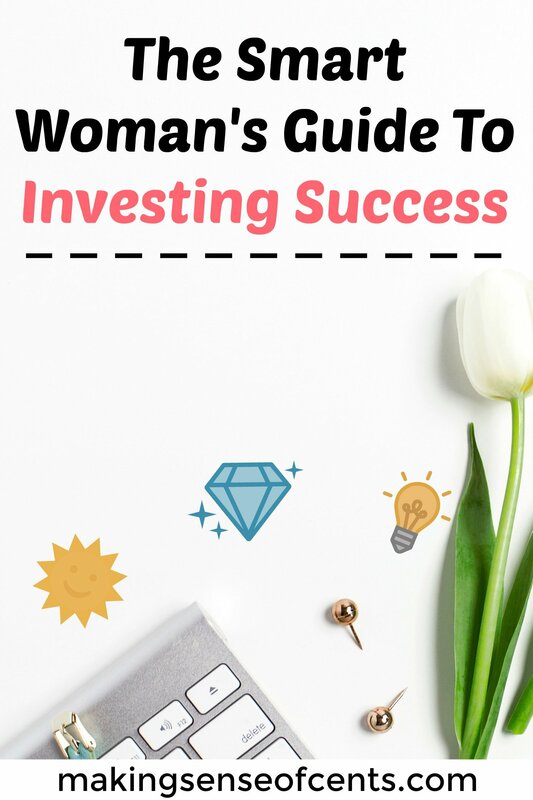 Research shows that most women would rather preserve their money by stashing it away in a bank account or other safe investment as opposed to the stock market. In this post, I am going to show you why this is a bad idea and why you need to become comfortable with investing in the stock market. From there, I will teach you the basics of the stock market so that you can overcome your fear and become a successful investor. Side note: I highly recommend that you check out Personal Capital if you are interested in gaining control of your financial situation. 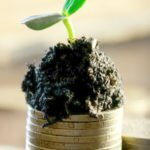 Personal Capital is very similar to Mint.com, but 100 times better. Personal Capital allows you to aggregate your financial accounts so that you can easily see your financial situation. You can connect accounts such as your mortgage, bank accounts, credit card accounts, investment accounts, retirement accounts, and more, and it is FREE. I also recommend using Motif Investing. Motif Investing allows individuals to invest affordably. This approachable investing platform makes it easy to buy a portfolio of up to 30 stocks, bonds or ETFs for just $9.95 total commission. Plus, you will receive up to $150 when you use Motif Investing if you sign up under my link. When I ask most women (and many men in all honesty) why they don't invest in the stock market, the typical answer is that they don't want to lose their money. They see the $10,000 investment they have drop to $8,000, become worried and sell out hoping to not lose any more money. They then put this $8,000 into a savings account where they won't lose any money. But they do lose money. Sure the $8,000 will never drop below $8,000 but they lose something a lot worse – purchasing power, also known as inflation. Historically, inflation runs around 3%. To give a basic example of inflation, if a gallon of milk costs $4.00 today and inflation is 3%, next year at this time, that same gallon of milk will cost 3% more, or $4.12. Inflation causes prices to rise. 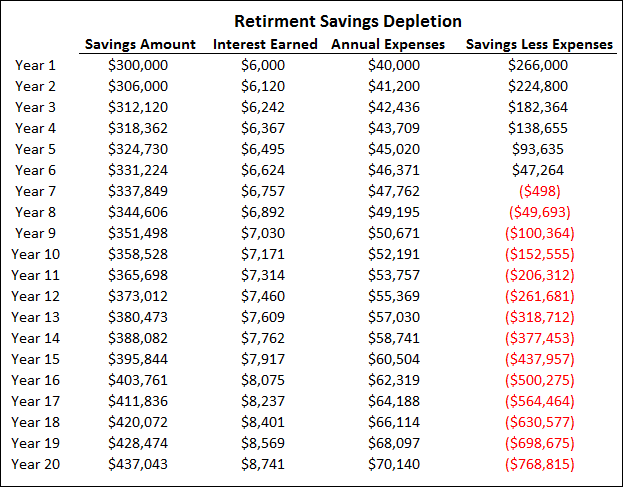 Let's look at a real life example so you can see why you lose money by keeping your money in a savings account. 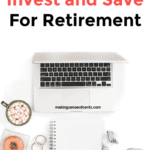 Assume you are retired and you complete your budget. Your annual expenses are $40,000 and you have $300,000 saved in a savings account that pays 2%. In the chart below you will see what your savings grows into in 20 years. We cannot forget about your expenses. Here is your $40,000 annual expense number for the next 20 years with 3% inflation added in. If you are earning less interest than what inflation is costing you, you are going to run out of money. It's the same idea with losing weight. If you take in fewer calories (or earn in interest) than you burn off (or spend), you are going to lose weight (or run out of money). Now, some of you might point out that back in the early 1980's, interest rates were much higher than 2%. This is correct. But, interest rates were high because inflation was just as high. In 1980, inflation averaged 13%! That's roughly the same as bank accounts were paying. So even then, you were losing purchasing power. The solution to this problem is investing in the stock market. I know that it can be confusing and scary at the same time, but if you just understand the basics, you will have all of the information you need to know. Trust me when I tell you there is no need to learn about binary options, calls, puts or soybean futures. To understand these and to be successful in the market on these fronts requires a ton of knowledge and time commitment. But to simply be successful in the stock market by investing in mutual funds and exchange traded funds is much easier. Here is what you need to know. Yes, the market will drop. It always does. Over the short-term, you will lose money (only on paper as long as you don't sell out) but over the long-term, you will make money. This is how the market works. Over the short-term, there is volatility in the market. Prices fluctuate and can fluctuate wildly. But over the long-term, things calm down and the general trend is positive. For help seeing this, just pay attention the next time you are at the beach or lake. Watch the wake of a passing boat. Right after the boat passes, the waves are high and the water looks dangerous. But follow the wake out over the water and the waves become smaller and smaller and eventually disappear. This is the stock market both short and long-term. You want to focus on the long-term. While it sounds easy to just focus on the long-term, the truth is that this is hard to do in reality because money is emotional. No one likes to lose money. But understand that the loss is only on paper. You never actually lost any money unless you sell. It's like your house. Your house might gain or lose value. But you never know this until you actually sell your house and have the cash or check in hand. But with that said, the media is good at bringing your emotions out. They make everything seem scarier with the graphics and sounds they use, as well as with the words they use to describe the market. Understand this: the media sensationalizes the market to keep you watching. The more eyeballs they have tuning into their shows for longer periods of time, the more they can charge advertisers. So, when they start telling you how the stock market is crashing or melting down, you know it is time to turn the channel. Another important way to avoid falling victim to your emotions and become a successful investor is to create an investment plan. Before you invest, you sit down and write out your plan. What are your goals? Why are you investing the way you are? All of this is important because in the future, you will be reviewing your plan to make sure you are still on course. Your investment plan also helps when the market gets rough. You may be tempted to sell and run for safer investments. But by reviewing your plan, you can see what your goals are and why you are investing the way you are. It will help to keep things in perspective and keep you invested over the long-term. Studies show that men are much worse than this that women, but it needs to be said. There is a difference between investing and trading. Trading is when you are constantly buying and selling funds, trying to avoid losses and earn a higher return. Unfortunately, this rarely works. In fact, the average investor only earns 2% while the market earns 8%! Why is this? Because the average investor keeps jumping from investment to investment. Success in the stock market doesn't work like this. You need to be invested for the long-term. No one can time the market and invest only when the market is rising and be out of the market when it is falling. It fluctuates every single day. Instead, just invest. Create your plan, pick a few investments, and continuously add money to these investments on a regular basis. Ignore everyone telling you the market is high or low and just invest. Remember, your eye is focused on the long-term. There are two types of investments out there, active investments and passive investments. I could write an entire post on this topic alone. For now, just know that actively managed investments (mutual funds in this case) are run by a portfolio money manager who is trying to beat the market. If their fund tracks the S&P 500 Index, then that is the market they are trying to earn a higher return than. On the other hand, a passive investment is a mutual fund that is simply going to match the return of the market. So which philosophy should you follow? You should choose passive investments. The fact is that no one beats the market on a consistent basis, year in and year out. Only one person has done it recently, and his name is Bill Miller of Legg Mason. The mutual fund he ran beat the market every year from 1991-2005. He hasn't fared very well since. While his run was great, the odds of completing this feat are 1 in 2.3 million. On top of this, when Mr. Miller was interviewed about his streak, even he chalked it up to luck more than skill. The point is, don't bother trying to beat the market, because in the long run, you can't. Just take what the market gives you and you will be fine. The final topic is regarding fees. As with active and passive investing, there is much to be said about this as well. When it comes to investment fees, know that you have to pay a management fee with mutual funds and exchange traded funds. However, unlike with other things in life, you don't get what you pay for. Paying a higher management fee does not guarantee a better return. In fact, there is no correlation. You are better off paying the lowest fee possible. Luckily, this is where passive investments come into play again. Since a passive fund doesn't employ a management team to pick investments, the fees are much lower. As of this writing, the average management fee for equity mutual funds is 1.40%. This means that for every $1,000 you invest, you are paying $14 each year in fees. 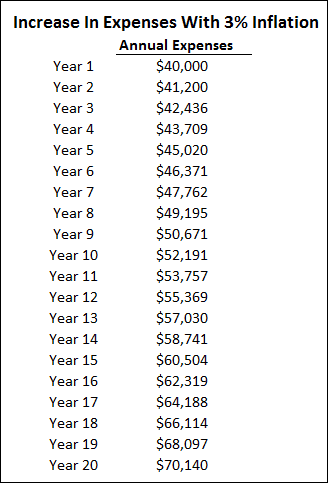 While it doesn't seem like much, when your investments start approaching six figures the fees really add up. On the other hand, a typical passive mutual fund has a management fee of just 0.20%, or $2 for every $1,000 invested. You work hard for your money. Make sure you do everything in your power to keep it. At the end of the day, if you learn just the basics of investing, you are 90% of the way to investment success. Once you understand these basics, the fear that you have decreases. That's not to say it will be smooth sailing every day however. Your nerves will be tested when the market declines. But you have to keep things in perspective. I've lived through 3 wars, 2 stock market bubbles, and 2 recessions and the stock market is still going strong. During these events, things look scary, but I keep my focus on the long-term, knowing that everything will work out in the end. Author Bio: Jon blogs at Money Smart Guides, a personal finance blog that helps readers pay off their debt and begin investing for their future. When it comes to investing, his approach is simple: learn the basics, invest regularly in low cost funds and stay the course to be successful. Are you currently investing in some form? Why or why not? Do you think you are on track for retirement? 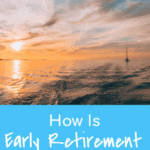 Quiz – How Serious Are You About Early Retirement? Hi Michelle…glad you enjoyed the article!! If you can afford it, I would do both (I assume the work plan is a 401k). An 8% match is awesome and you have to look at it as “free money”. You have a guaranteed 8% return on your money, so definitely take advantage of that. I would also keep putting money into your Roth as well. 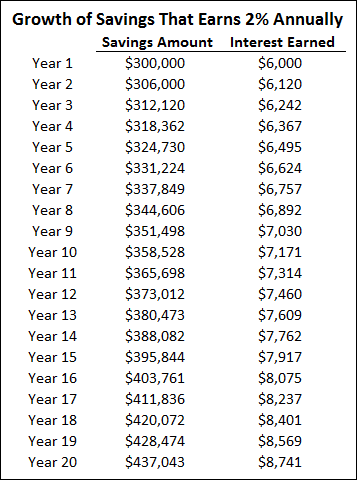 You can put $5,500 into your Roth for 2015 and up to $18,000 into the 401k for 2015. There is nothing saying you can’t do both. Plus by doing this, you get the best of both worlds – the money in your 401k will be tax deferred and your Roth money will grow tax free. I hope that helps. If you have any other questions, feel free to reach out to me! I love the concept of “invest, don’t trade”. When I hear “investing”, I think about researching, buying, and selling stocks – something I have no interest or expertise in. Investing is what sets apart the winners from the losers over the long-term. You might run into people that boast about their recent returns by trading this or that, but over the long run, it’s a losing strategy. Only a very select few will be successful over the long-term. The better option is to simply invest. Invest in low-cost index funds from Vanguard or Schwab and keep adding money into them on a regular basis. There will be ups and downs over the short-term, but over the long-term you will see some nice returns. There is nothing wrong with target date funds and in reality, they are a good way to keep your risk in line with what you are comfortable with. Also, those funds most likely have the big oil companies in the portfolio already. I’d be inclined to just keep doing what you are doing. Great beginners guide! Passive, low expense ratio stock index funds are the way to go! Set it and forget it… timing the market is just asking for a loss of capital. Set it and forget it!! Couldn’t be any easier thank that. Other than my 401K (and an IRA rollover from my former employer) I’m not investing right now. I do hope to ramp up my investments once my consumer debt is gone though. Good tips, especially the part about inflation vs interest rates. It’s a good thing to get that consumer debt out of the way. The interest rate you pay on that debt is most likely higher than what you could earn in the stock market. Good to hear though that you are still saving for retirement even while paying off the debt. Keep it up! Set up a good total stock market index fund, keep feeding it, and kick back to watch. The simplest (which is often best) advice possible for investing. Don’t fall into the trap of missing out on the power of compounding interest out of fear. As long as you commit to the long haul – the only approach to have, by the way – you will come out ahead, likely very far ahead. Start investing now! Great summary!! The key is that long-term approach. We tend to give up to quickly when the market tanks. We have to learn to shift our thinking when this happens and not let the fear make decisions for us. Great article. Very informative and straightforward. I agree that the stock market is a great investment avenue especially over the long term. I am one of those women who’s just too conservative when it comes to my money. I know the time is approaching when I will have the funds to invest, and I am a nervous wreck. 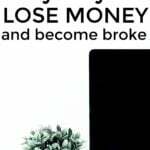 I don’t like to take risks and because I have lost so much money in the past it doesn’t help at all. This post was encouraging and maybe, just maybe I’ll find the courage to do something out of the box with my money one day. Glad to head it was helpful. I’ve met a lot of others in your shoes (both men and women) who are jaded from the recent volatility in the market and wont’ invest. The best thing I can tell you is to simply take some time and educate yourself more on the subject. Understand that the market goes in cycles, meaning it goes up and down in the short-term, but over the long-term it tends to rise. While we have no idea how much it will rise and fall, we have to remember to look at the long-term. Ignore the news and hype and invest in a conservative portfolio to start, say with 60% stocks and 40% bonds. The easiest way to do this is with a “robo-advisor” like Betterment or Wealthfront. Don’t let the term “robo-advisor” scare you, it’s just the name given to these new investment firms that do all of the work for you. You just set up an account and a monthly contribution amount and they invest your money in a portfolio of low cost investments. They reinvest dividends, rebalance and tax loss harvest for you too. (If those are over your head, that’s OK, just know these things are good). I like them so much because they take the emotion out if investing. You can literally set up your account in 10 minutes and then completely forget about the account. As long as you don’t log in, you won’t see your balance drop if the market tanks. I use Betterment and can’t recommend it enough. Be sure to contact me if you have any questions or concerns about investing in general or Betterment. While I can’t tell you specific funds/stocks to invest in, I can help guide you towards a plan that will work for you. Awesome post! Right now I just invest in my 403(b) through work and put in enough for the company match plus I put some money in monthly in my Roth IRA. Once I finish paying off my student loans over the next few years, my goal is to max out of Roth IRA and then invest a little into stocks. That’s a great plan! I love that you are saving for retirement and paying off your debt. Once that debt is gone, just pretend you still have that “bill” and put that money into retirement and non-retirement accounts. You’ll be amazed at your worth in time! Interesting perspective! Thanks for sharing! And you’re right, our emotions can be our biggest enemy. This post was a real eye opener. I’ll keep it in mind next time I analyze my savings. Glad you enjoyed the post. Investing is simple, but not necessary easy. It’s those darn emotions that screw us up! The more we can control our emotions, the more success we will have. Thank you for the article. 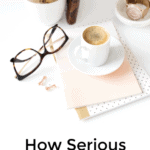 It hit home because as a small business owner it is so hard to have the commitment to something as unpredictable as the stock market when it feels like you are already being risky with your own business. Very nice and a great plan.Awesome post.I love it.But i thing that is litle risky!! Wow so much here I did not know, what a great educational read, I need more insight on my finances. My approach is to invest for income, so I tend to invest in utility and cash-rich companies. The best investment anyone can make is believing in themselves and getting that side hustle blogging journey started “with no delay.” Invest that $20 for a domain name. Reserve a dedicated server. Install WordPress. Pick a topic. Start blogging. Invest more of yourself by joining a few good affiliate networks. Put ads on your blog. use your smartphone to create content with your voice. Blog 5-6 days a week for 2 – 3 years. You’ll end up making more money than your unthankful employer & in a financial position to quit your day job.